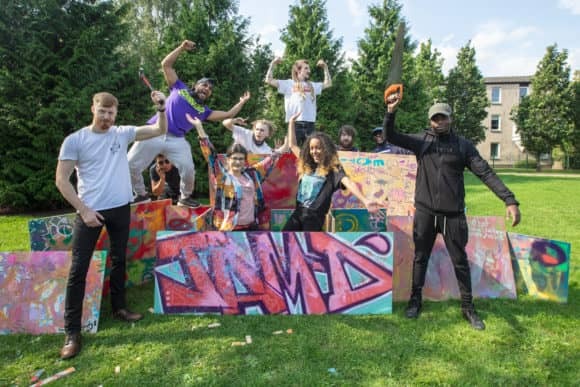 JAMD, led by local youth arts charity Front Lounge, focused on what it means to be a young person in the 21st Century. 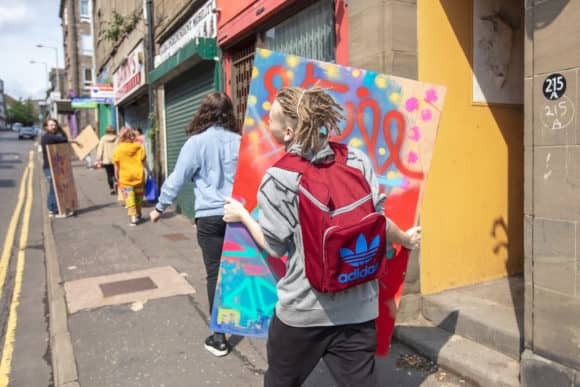 The project, which celebrates youth potential and activity, was funded by a Cashback for Creativity Open Fund award distributed by YouthLink Scotland and involved a host of local artists and art students celebrating the Year of Young People 2018. 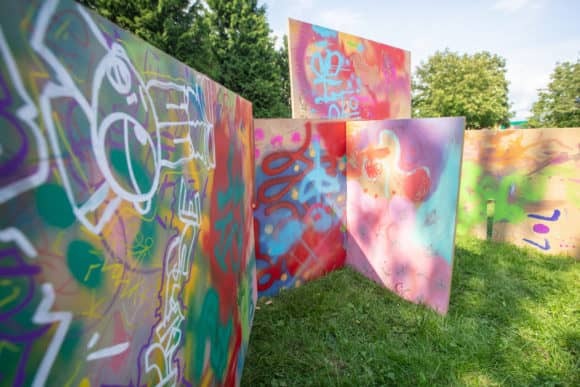 During three Dundee community fun days this Summer, JAMD encouraged young people to take part in spontaneous arts events, painting and decorating boards which now form the basis of a huge sculpture. Today (Wednesday 15 August 2018), some of the artists involved began creating the geometric, moveable sculpture which will remain on site at Hilltown Park for the public to enjoy and interact with. Founded in 2001, Front Lounge was created to encourage young people from marginalised backgrounds to pursue careers in the creative industries. Front Lounge was recently successful in The People’s Projects National Lottery Fund, which ploughed almost £35,000 into the Bringing Up Baby ‘Kindred Clothing’ project.